Brazil became the South and Central American champion in this new competition format after beating Argentina 24-19 in the last match of the tournament. Both nations are qualified for the World Championship in Japan next year. The 2013 World champions displayed a great level and quickly put themselves 6-1 ahead after the first 10 minutes. Argentina was finding it hard to break through the tough 6-0 defense with one of the World’s best defenders, Eduarda Amorim, in the command. On the other end of the court, goalkeeper Marisol Carratú was on a good day on the Argentinian goal and it was one of the reasons why the conducted by Eduardo Gallardo managed to stay in the game. Brazil reached a difference of +8, however, with a few changes in attack and the irreverence of the younger players of the squad, Argentina shortened the gap to 5 by the end of the first half (15-10). Centre back Micaela Casasola (21) and debutant Malena Cavo (19) were the highlights of the last few minutes, with the latter scoring 3 goals in the 9 minutes that she stepped on court. 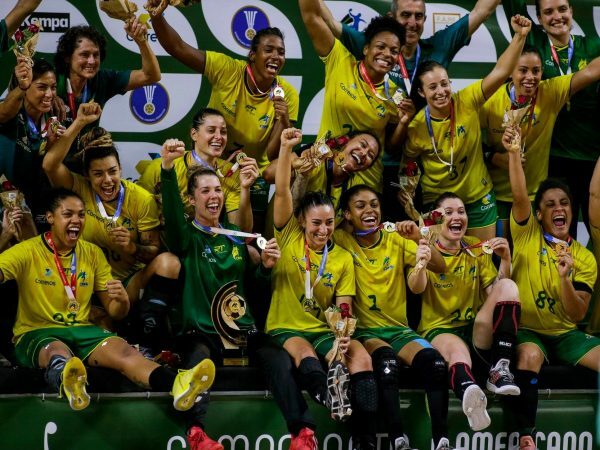 On the second half Brazil continued to be in the lead and extended the difference to 8 again (18-10) with good performances from the indecipherable Bruna de Paula and centre back Patricia Matieli. While Argentina managed to play well and reach clear goal situations, the figure of Bárbara Arenhart emerged to ruin the party with an outstanding performance. But in the end, the coached by Gallardo we able to score anyway and closed the match with the same 5 goal difference they had reached after the first 30 minutes. 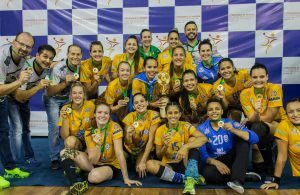 Brazil’s title is the first of the South and Central American Championship format, however, it’s their 11th continental gold medal. The two teams will meet again in the next continental commitment which will be the Pan American Games in Lima, Perú; where only one place is at stake for the Tokyo 2020 Summer Olympic Games. Paraguay defeated Uruguay 26-27 and finished third. They had also obtained a victory against Chile (21-28), but lost to Argentina (26-28) and Brazil (17-40).